Use the coupon ALLCBD10 to get 10% Off on Green Roads World Products. Have you been looking to buy CBD oil lately, but just couldn’t figure out which product to trust? Don’t worry; I might have a solution for you. 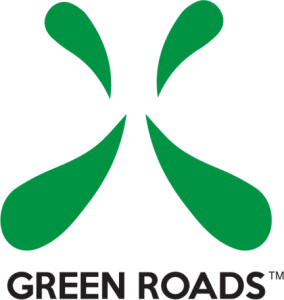 Today, I’m going to be talking about a brand that’s very close to my heart – Green Roads World. But let me remind you, I didn’t always feel about this brand the same way. Keep on reading this green road world review to know more. Frequent readers of my blog know it already that I’m trying the best I can to keep my anxiety and back pain in check. I do this by balancing a stress-free life with the required dosage of CBD. I try out new CBD products only when it piques my interest or I have to give you an honest review. Because let’s face it, scams in this industry are plenty. But where does Green Roads World stand and how does it do things differently? You’ll find out everything, but first, let me tell you a bit more about the company and why I’ve come to trust it. I stumbled upon this brand one fine day when my back pain was getting a little out of control. I don’t know if my regular CBD just wasn’t having any effect or I was just having a bad day. What I do know is that I had this intense urge to try out something new for my readers. “But Aaron, what about your back pain?” Well, let’s just say it comes secondary. So, what does Green Roads World believe in? The company’s main mission is to educate people about the health benefits of CBD and minimize the use of substances that gets passed off as “prescribed medicine.” The company hopes to bring you an alternative form of medicine that is in harmony with nature and does not cause inevitable adverse side effects. 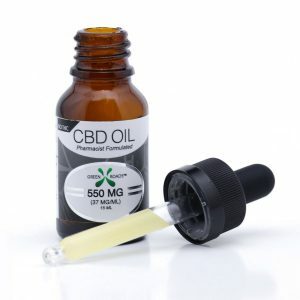 They claim that their CBD products contain only licensed pharmacist compounds such as oils, creams, and edible products that are further infused with soothing botanical. Now, those of you that do not believe in alternative medicine, what are you even been doing here? But now that you are already reading my review; I suggest you stick around. Given the fact that this Florida company was established only in 2011, these accomplishments are quite impressive, wouldn’t you agree? First, let’s start with the company’s bestseller. Green road world claims that their CBD oil is best in the industry because they deliver 99% purity, tested and confirmed by third-party labs. Being the skeptic that I am, I brushed aside the claim thinking “oh that’s what everyone says.” But later on, I found the lab results published on their website. CLICK HERE to see. Extracted using the CO2 method, this brand gives you full spectrum CBD. Check out the features to learn more. You can consume the CBD oil in two ways – sublingually or using a vape. Since this oil is vegetable glycerin-based, it works quite well in both ways. To consume it orally, just use a dropper to microdose to the necessary amount and if you want to smoke it, put the CBD oil inside of the vape pen compartment. I like vaping, so that’ what I did mostly. Okay, I’ll admit that I did get a bit carried away by all the good reviews and bold claims on the web. No, I’m not implying that the product is not as good as advertised; just that I was expecting results a little too soon. I’m happy to say that this stuff works great in suppressing my anxiety, though real results came after the first few days. The effects of Green road world CBD oil joint pain are commendable, though my experience with few other products has been better. Overall, I’d say this brand is legit. After all, even licensed pharmacists are selling it. But does the CBD syrup measure up to the health benefits of the oil variant? We’ll find out right now, but first, take a look at the features of this product. 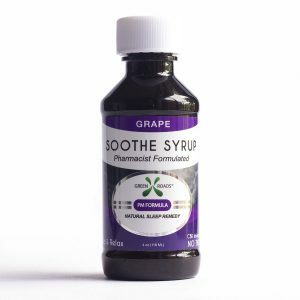 This is a nighttime soothe syrup that intends to help you relax and get a better night’s sleep. You consume this product by simply taking sips out of the bottle. It’s an excellent drink to have before bedtime; I can tell you that. First of all, let me just say that this drink doesn’t anywhere claim that it can treat anxiety, depression, or other physical and mental ailments. I decided to give this a shot anyway because I felt like I could use a bit more sleep. After all, it was not uncommon for me to wake up in the middle of the night with excruciating back pain. CBD Syrup from Green Road World works well in alleviating stress no doubt about that. I also feel that it did have some effect on keeping my back pain at bay. Keep your expectations in check; I promise this product will not disappoint. Why do people love terpenes? It’s because terpenes released by a reliable brands contain the primary building blocks of any essential oil that’s plant-based. As a result, the users get to experience the authentic flavor, color, and the beneficial effects that come with it. 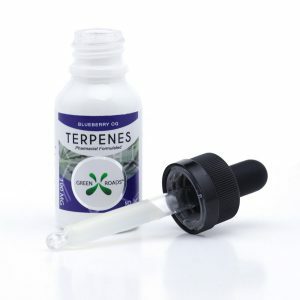 Green Road World terpenes are no different as they help enhance the effects of CBD by a mile. The company website clearly mentions that you should take only a rice-grain size serving twice a day to experience full benefits of terpenes. I experimented with both direct consumption and adding it to a vape pen; both gave similar results, so I’m not complaining. I’m not a stranger to using terpenes and have successfully tried many brands. I can attest to the fact that this product gives you what is promised. I could notice the difference on my very first use as it began to calm my nerves sooner than the syrup and CBD oil I tried before. I can’t really say for sure to what extent this stuff works on anxiety because I was already using Green Road World CBD Oil. As far as alleviating stress and tension goes, I’d give the syrup two thumbs up. 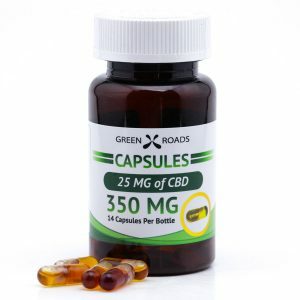 What to say about CBD capsules? You’ve probably heard about them and know how they work. This brand doesn’t claim to be any different, yet it has managed to leave a very positive impression on my mind. Even though I don’t need to use capsules these days anymore as I’m no longer traveling, I decided to try it out for the sake of this review anyway. Just swallow these gel capsules with water or the drink of your choice; both work equally well. Take no more than two capsules per day when starting out. It was positive overall, and I found no noticeable differences in the effects, compared to CBD oil or syrup. Just one pill a morning was enough to keep me relaxed and concentrated throughout the day. I honestly found no reason to switch to 2 pills a day; your experience may vary by some degree. As you can understand, the lineup of edibles is nothing short of “a dream come true for people” who like sweet treats. But do these products have health benefits or do they just exist for the sole purpose of enticing your taste buds? Let’s find out. As I said, I didn’t buy the edibles to treat any condition; I bought them to find a healthy substitute for a sugar rush. Yeah, as far as their health benefits are concerned, I’m sure they are useful because there are plenty of reviews online that talk about it. Be warned though; this stuff is not for kids, so you might want to keep away from their sight. The next time you are craving for some candy, treat yourself with the CBD edibles from Green Roads. I’m sure your body will thank you for making the smart choice. If I were going to try so many products, it would be unfair to leave out my best friend, Rufus. 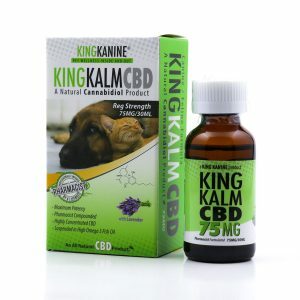 The thing that caught my attention about Green Roads CBD for pets is that they manufacture this product in conjunction with King Kanine, a very reputed that food company. So it’s pretty easy to say that good quality is a given. Claims to treat a myriad of ailments such as anxiety, epilepsy, artritis, pain and inflammation, etc. This product is available in three doses options: 75 mg, 150 mg, and 300 mg, with the 150 mg and 300 mg being infused with lavender. You can either use the syringes to administer the dose orally or mix the solution with your pet’s favorite treat. Just be sure to consult a vet before starting the dosage. My old boy has been keeping surprisingly well ever since I started administering CBD oil through his food. So, I wasn’t really expecting to see any drastic changes in his mood before I started this dosage. Rufus was his usual playful self, which I think is partly because of the positive effect this product had on arthritis and joint inflammation. Would I use this product again? Of course! I’m still giving this to Rufus, and he seems to have indeed taken a liking to its taste. Go ahead and give your four-legged pal Green Roads for Pets without any worries. Okay, even I was taken aback by the very idea of CBD infused tea and coffee. Like what, seriously?! So, I went ahead and ordered it without putting in much thought because I knew I was up for something beyond the ordinary. Currently, you can buy these three products: CBD coffee, CBD decaf coffee, and CBD tea. Their specialties are as follows. Coffee: According to the company, you should drink one cup of CBD coffee once or twice daily to take the edge off. Tea: The same as above goes for tea as well. Just to make the beverages as you do with regular coffee and tea and it should be all good. Well, it was certainly different I can tell you that. I was a bit more excited to get up in the mornings and start my day rather early. The coffee was a bit too strong for my taste, but I did get used to it in a few servings. The real pleasure, however, was in the tea flavors because they were really much more than what I had expected. The effects of both beverages were rather immediate as I felt an aura of serenity surrounding me. Bro talk: I don’t always feel that way, especially when my wife is around. The wife once asked me if my life is solely dependent on CBD. Heck yeah, I answered! And I’m not ashamed to admit it. I guess it’s not her “cup of tea,” if you know what I mean. How to buy Green Roads World products? Visit the website www.greenroadsworld.com and hover your mouse cursor over the ‘SHOP NOW’ button to see their wide array of products. Be warned though; the sheer variety may leave you confused on the first visit. But, as with everything else, you’ll get used to browsing this site as well. After trying out all of Green Roads products, I can say that the company is legit and I wholeheartedly endorse them. Start by purchasing the CBD oil and see how it acts on your anxiety and stress. If the results are good, I can assure that you’ll be looking to try out, even more products like me.